The collaborative efforts of quirky, culinary passions; comprehensive epicurean research; and limitless creativity has resulted in the progressive dining experience that is Root 246. Extensive whiskey programs, curated craft beer selections and an approachable wine collection bridges cured meats and lost techniques to the dining table. 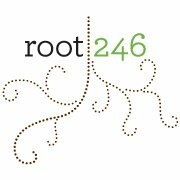 Root 246 is unbound by cuisine style or classic food rituals, bringing together locals and travelers alike through the elements of flavor that make food fun.